Ett kort med pasteller...det blev lite blekt för att vara jag...;) Katten är ju bara för söt!! You did do an incredible job with this clown image. Love the bright colors. The pastel kitty is so cute too. Gorgeous, Helen! 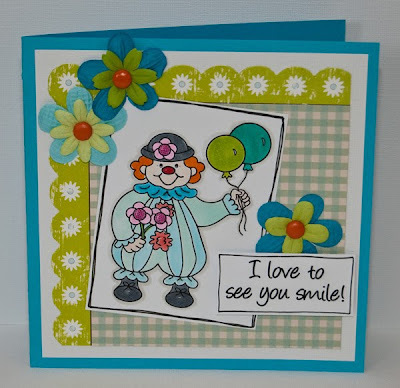 The clown is definitely my fave, so bright and fun! Wonderfully crafted!